In the eighteenth and early nineteenth century colliers in every coal-mining area attempted to form unions. Colliery owners refused to negotiate with these organizations and the colliers were invariably defeated. During this period miners obtained a reputation for militancy and were accused of being followers of the revolutionary doctrines of Tom Paine. In an attempt to avoid the In an attempt to avoid the Combination Acts early colliery unions went under the name of friendly societies. In the early part of the nineteenth century, there were 21 miner's friendly societies in central Lancashire alone. The 1830s saw a growing market for coal. This improved the bargaining position of the colliers and in 1831 and 1832 miners in Northumberland and Durham joined together to gain a reduction in hours and the abolition of the truck system. This encouraged miners from other parts of the country to form district associations. With the development of the railways in the 1840s, it became increasing difficult for district organizations to apply the necessary pressure on colliery owners. In 1842 colliers formed the Miners Association of Great Britain and Ireland. Certain areas such as Yorkshire and East Midlands failed to join and the mass importation of strike-breakers during industrial disputes continued to undermine local unions. 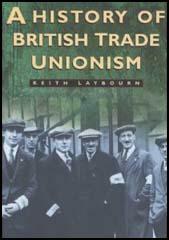 In some mining areas important trade unionists began to emerge. 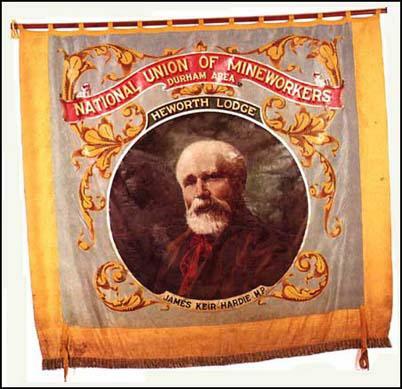 In 1880 James Keir Hardie led the first ever strike of Lanarkshire miners. He also became secretary of the Ayrshire Miners' Union and later, with the help of another outstanding union leader, Robert Smillie, helped establish the Scottish Miners' Federation. Miner's leaders were aware that they needed workers from their industry to put their case in the House of Commons. In the 1874 General Election two miners, Alexander MacDonald (Stafford) and Thomas Burt (Morpeth) were elected. After the passing of the 1884 Reform Act most miners could vote in parliamentary elections. Colliery trade unionists were selected as Liberal Party candidates in several mining constituencies and six of them were elected to Parliament: Charles Fenwick (Wansbeck), William Crawford (Mid-Durham); John Wilson (Houghton); Ben Pickard (Normanton) and William Abraham (Rhondda). In the summer of 1888 the price of coal began to rise. All over Britain miners began to talk about the need for a pay increase. When colliery owners rejected the claims of the Yorkshire Miners' Association, its leader, Ben Pickard, sent out a circular inviting all miners "to attend a conference for the purpose of considering the best means of securing a 10% advance in wages and of trying to find common ground for action." The Conference took place in Derby on 29th October, 1888 where the formation of a new national union was discussed but no agreement was reached. Ben Pickard called another conference in Newport on 26th November 1889. Pickard selected Newport as it was fiftieth anniversary of the Chartist Newport Uprising. Those attending included James Keir Hardie, Thomas Burt, Herbert Smith, Sam Woods, Thomas Ashton and Enoch Edwards. At the conference it was decided to form the Miners' Federation of Great Britain (MFGB). Officers elected included Pickard (president), Woods (vice-president), Edwards (treasurer) and Ashton (secretary). 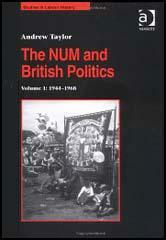 The labour historian, John Benson, has pointed out that under Pickard's leadership the MFGB was a great success: "By 1893, the federation's 200,000 members represented nearly a third of the mining workforce (and about a seventh of all British trade unionists); seven years later the federation numbered among its members nearly half of all miners (and a sixth of all trade unionists) in the country." From the beginning the Miners' Federation of Great Britain attempted to have all the colliers' trade unions united in a single body. South Wales joined in 1898 but Northumberland and Durham, with a quarter of all Britain's miners, refused to become part of the MFGB. Negotiations continued and first Northumberland (1907) and Durham (1908) agreed to join. The membership of the MFGB was now over 600,000. This gave the MFGB tremendous strength in the Trade Union Congress, as the organisation represented over a quarter of all trade unionists in Britain. The Miners' Federation of Great Britain became the National Union of Mineworkers (NUM) on 1st January 1945. It now had a membership of 533,000. With the decline in the demand for coal, numbers in the industry continued to fall and by the early 1980s membership of the NUM was under 250,000.